Most of my artwork is done in Prismacolor pencil – the pencils are considerably better than I am! My subjects are mainly birds, insects, and small natural objects. The big canvas isn’t for me….the smaller the scope, the more intensely interesting and intricate it is, and the more enjoyable to draw. The results sometimes surprise me! 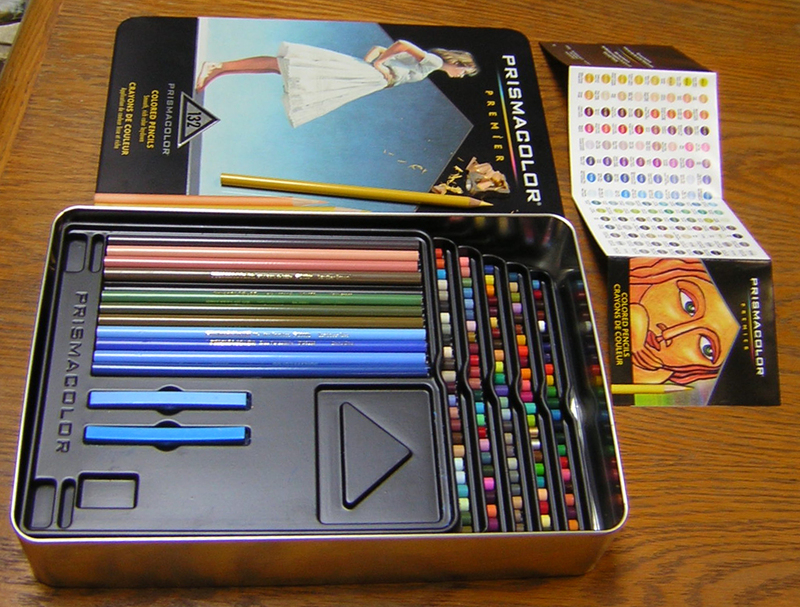 The Big Prismacolor Box - 132 colors!